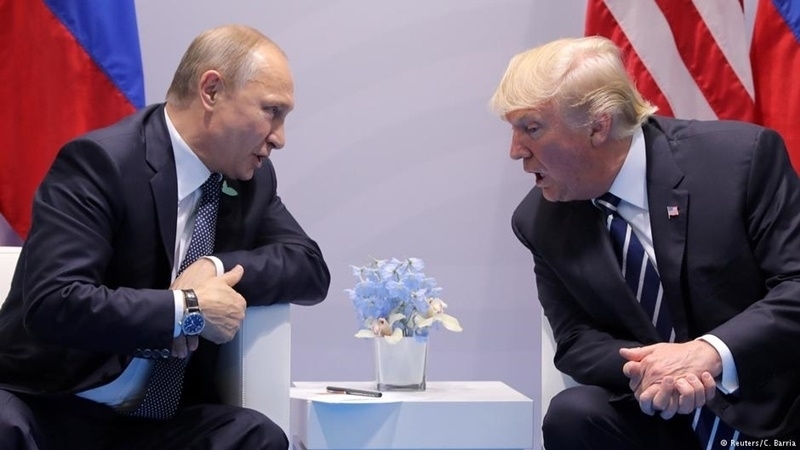 President of the United States Donald Trump says that he is likely to meet with President of the Russian Federation Vladimir Putin during the APEC summit in Vietnam. “This is a very important trip. We can have a meeting with Putin," said the American leader. According to Trump, Russia can help the US in settling the situation in Syria and on the Korean peninsula. The US President also noted that he and Putin need to talk about Ukraine. “This is important, because they [Russia - Ed.] can help us with North Korea and Syria. We need to talk about Ukraine," Trump stressed. It is expected that Trump will go on a long Asian tour in the coming days. During the trip scheduled for November 5-14, the host of the White House will visit Japan, the Republic of Korea, China, Vietnam and the Philippines. As part of the tour, Trump, in particular, will participate in a summit of the Asia-Pacific Economic Cooperation (APEC) in Vietnam's Danang on November 10. He will also attend a summit with the leaders of the Association of Southeast Asian Nations (ASEAN) in Manila on November 12-13. The APEC leaders' summit will be held in Vietnam's Danang from November 6 to 11. Reportedly, the US President Donald Trump can provide Ukraine with lethal weapons, as majority of the administration of the US president supports this idea.